What a great nighttime shot taken by Geoff Livingston! Black and white photography in itself can be challenging and even more so when you are working at night. Creating successful black and white photos takes a lot of practice, and you must train your eye to see in tone versus color. To avoid your image looking flat or dull, seek out scenes with tonal contrast. In Geoff’s photograph, the bright whites coming from the car lights create dramatic shadows against the concrete and fence that can also be enhanced in post-production. You can shoot your images in color and later convert to black and white on your computer. This allows you to capture more information in the original photo, so you have more control when you edit. 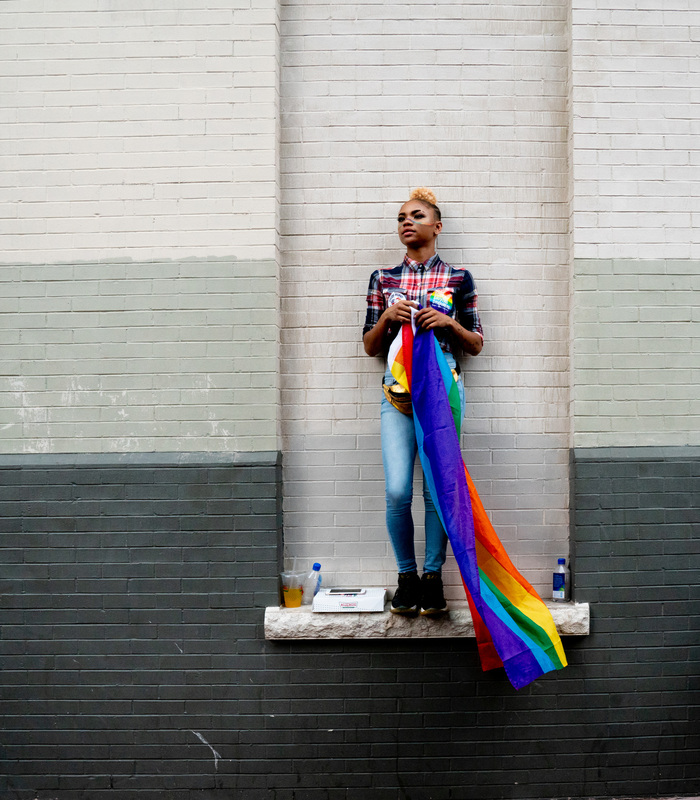 This photograph taken by Victoria Pickering during D.C.’s Pride celebration is genuinely captivating. The upward angle of the camera elevates the subject who is framed eloquently in the nook of this building. The figure projects an air of confidence as her head is raised high and her gaze focused on the day’s festivities all the while holding the multi-colored flag of the LGBT movement. Thanks, Victoria for sharing this image that embodies the strength of Pride. 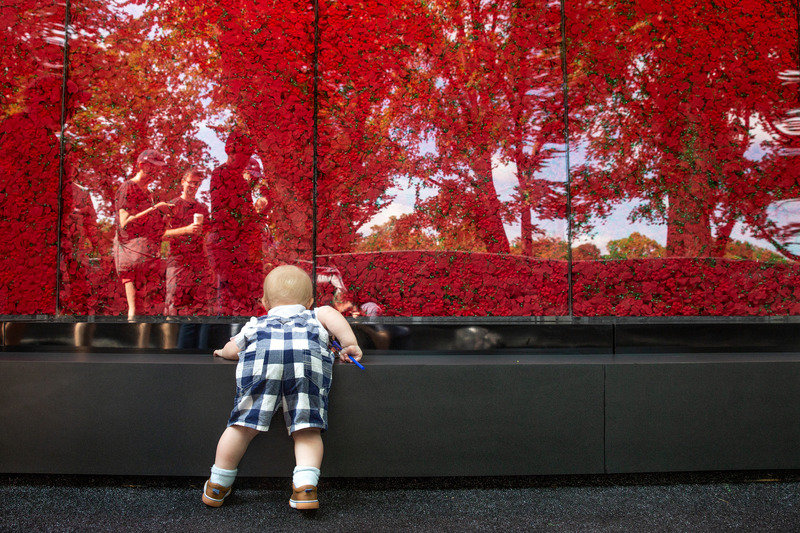 This image was taken by photographer Lorie Shaull at The Poppy Memorial, a temporary memorial located on the National Mall. Taking photographs of young children like this can be very unpredictable as they are constantly in motion and difficult to direct. One way to work with this obstacle is to get out of the studio and let them roam free and see what happens! Also, like Lorie, try shooting your photographs from the child’s level. Shooting from a lower angle gives the viewer the opportunity to see the world from the child’s perspective. Thanks for sharing such an adorable shot, Lorie! 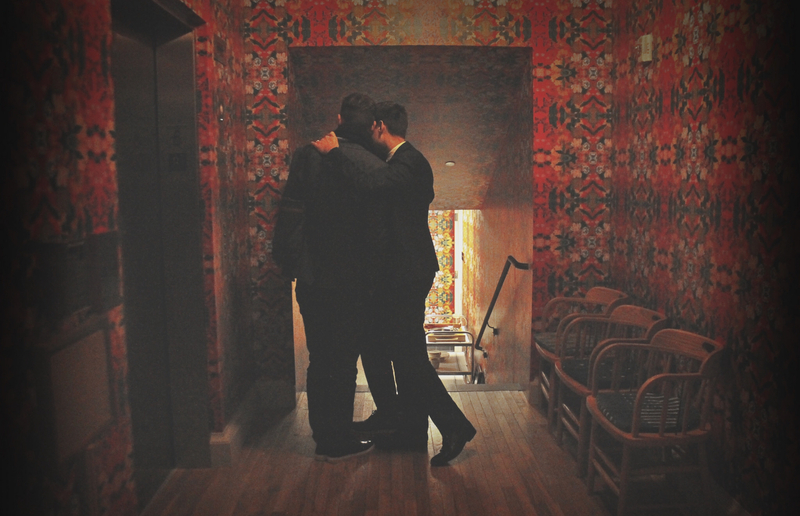 What a great image captured by Shamila Chaudhary at the Line Hotel in Adams Morgan. Interior lighting can be tricky, and Shamila does a great job of using the light that is available to show off the ornate wallpaper of the room while also guiding our focus to the two figures. When shooting photographs indoors, you are often looking for soft lighting; take advantage of any natural light that is available from windows or skylights. Photos can convey a lot of different emotions—loneliness, courage, frustration, excitement, for example. But being able to capture and preserve a moment of joy is something truly spectacular. In this image, Lorie Shaull memorializes the smiling face of this young member of Greenbelt’s S.I.T.Y. 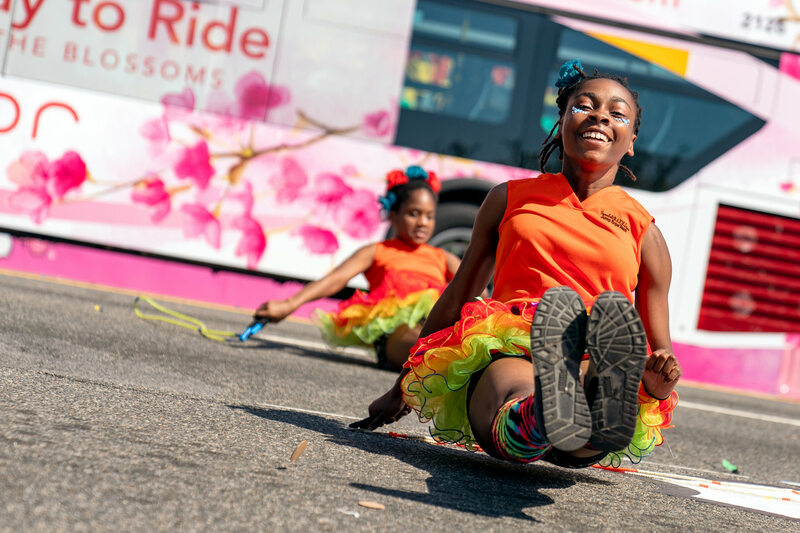 Stars Jump Rope Team, at the National Cherry Blossom Festival Parade this past weekend. You will not always be able to predict such moments of happiness, so you might want to keep a few things in mind. When it comes to your point of view, think outside the box! In this photo, Shaull is at a low position capturing her subject in action. Also, the brightness and bold colors of the subject’s outfit and the background of the image bring out the joy in the image much more than muted tones would. Thanks for sharing, Lorie!